Earn more JP and level up your Magikarp fast so you can jump your way to victory. In the adorable mobile game Pokemon Magikarp Jump, you have to raise your Magikarp’s jumping ability if you want to win the league battles and walk away with all 8 badges. If you’re a Pokemon Trainer that’s hungry for victory then you need to know how to level up your Magikarp’s JP fast. Use the following techniques to gain an advantage over your opponents and retire your Pokemon champions with the reputation they deserve. One of the ways you can gain more JP and level up fast in Pokemon Magikarp Jump is through eating the food inside the pond. Initially, this strategy won’t get you with all that many points but if you go into Town, head to the Coin Shop, and tap on Food, you can upgrade the different berries your Magikarp eats. 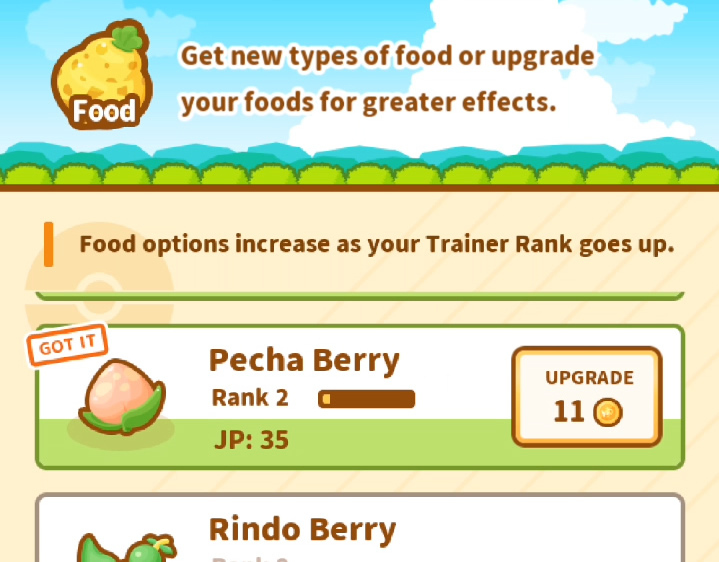 The best method is to spend some coins leveling up the berry that generates the most JP. This is typically the most recently unlocked item on the Food list. Another way to accumulate more JP is to train your Magikarp. 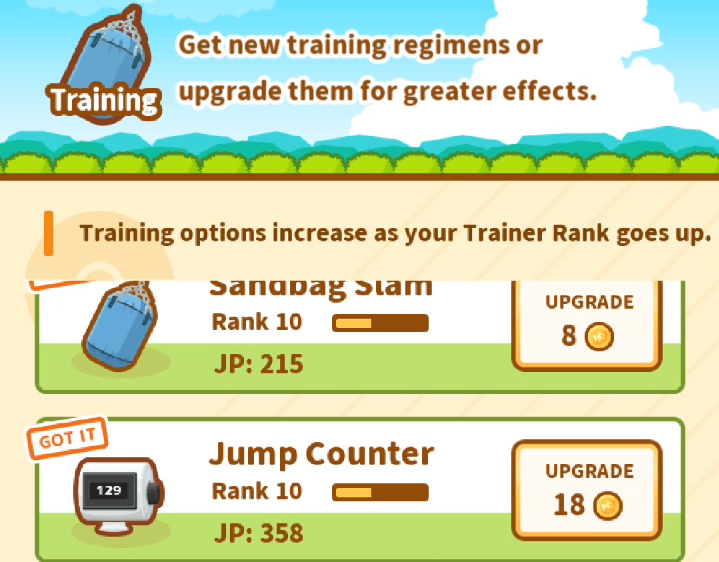 Again, this won’t get you that much experience at first but if you head into Town, open up the Coin Shop, and tap on Training, you’ll find that you can upgrade your training equipment. 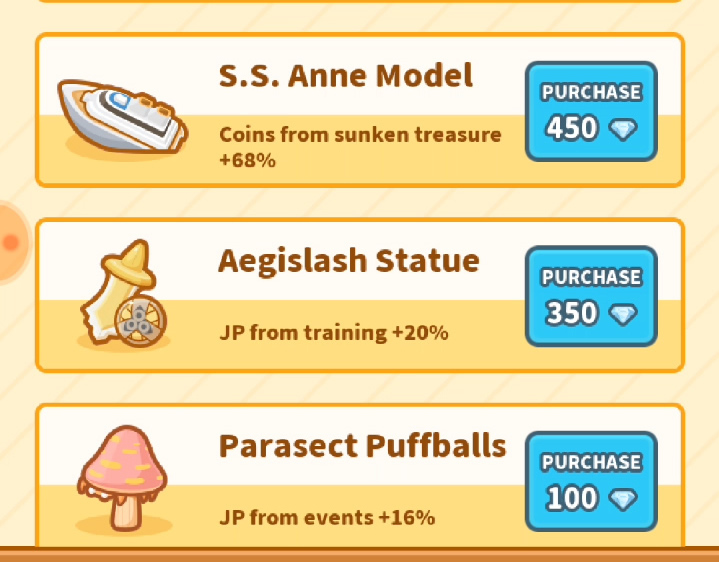 Use the same strategy described under the Upgrade Food method by investing coins into the training item that generates the most JP. If you split all the coins you have among these two categories, your Magikarps will level up so fast you won’t know what hit them. Lastly, you can use decorations in Pokemon Magikarp Jump to increase the amount of JP you earn doing various tasks with your Magikarp. Head into Town, tap on the Diamond Shop and then look through the Decorations. Each item has a beneficial side effect when you place it in the pond. Some useful Decorations include the Shaymin Platter, Aegislash Statue, and Parasect Puffballs. The Shaymin Platter increases JP from food by 14 percent, the Aegislash Statue increases JP from training by 20 percent, and the Parasect Puffs boost JP gained from Event by 16 percent. That should do it! Combine these 3 highly effective ways to level up fast and you should start earning badges with your Magikarp’s jumping skills in no time. If this was helpful, check out our guide on earning coins fast in Pokemon Magikarp Jump.